An approach to modern econometrics theory and practice through engaging applications. 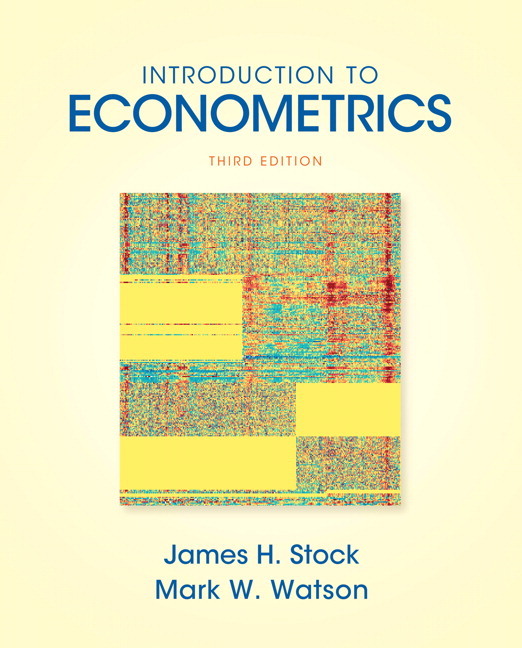 Ensure students grasp the relevance of econometrics with Introduction to Econometrics —the text that connects modern theory and practice with engaging applications. The third edition builds on the philosophy that applications should drive the theory, not the other way around, while maintaining a focus on currency. Ensure students grasp the relevance of econometrics with Introduction to Econometrics –the text that connects modern theory and practice with engaging applications. Provide Context: Real-World Questions and Data. Each important econometric method is built around an important real world question that demands a specific numerical example. For example, the single variable regression, multiple regression, and functional form analysis are motivated by the question: Do smaller elementary class sizes produce higher test scores? The treatment of standard errors for panel data regression (Chapter 10). When and why missing data can present a problem for regression analysis (Chapter 9). The use of regression discontinuity design as a method for analyzing quasi-experiments (Chapter 13). The use and interpretation of control variables is integrated into the core development of regression analysis (Chapter 7). Introduction of the “potential outcomes” framework for experimental data (Chapter 13). Present Consistency: Theory That Matches Application. 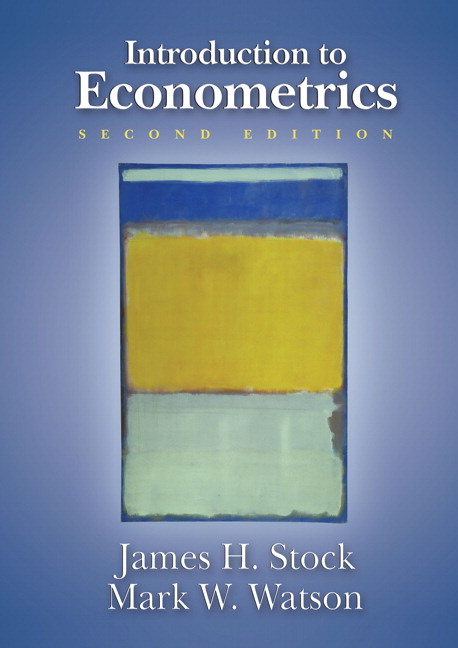 Although econometric tools are best motivated by empirical applications, students need to learn enough econometric theory to understand the strengths and limitations of those tools. A modern treatment is provided to fit between theory and applications as tightly as possible, while keeping the mathematics at a level that requires only algebra. Immediately after introducing the main tools of regression analysis, Chapter 9 is devoted to the threats to internal and external validity of an empirical study. This chapter discusses data problems and issues of generalizing findings to other settings. It also examines the main threats to regression analysis, including omitted variables, functional form misspecification, errors-in-variables, selection, and simultaneity–and ways to recognize these threats in practice. Next the methods for assessing empirical studies to the empirical analysis are applied to the ongoing examples in the book. This is done by considering alternative specifications and by systematically addressing the various threats to validity of the analyses presented in the book. And lastly, students need firsthand experience as producers in order to be sophisticated consumers. For this reason, the textbook website features data sets, software, and suggestions for empirical exercises of differing scopes. These web resources have been expanded considerably for the second edition. Chapter Introductions provide a real-world context and are a useful road map for the chapter’s material. Key Terms are boldfaced and defined in context throughout each chapter. Key Concept boxes at regular intervals recap the central ideas. NEW and UPDATED General Interest Boxes provide interesting insight into related topics, while also highlighting real-world studies. Additional general interest boxes have been included in this edition. A Chapter Summary appears at the end of each chapter. Review the Concepts are questions to check students’ understanding. Exercises give students more intensive practice working with the concepts and techniques introduced in the chapter. NEW! Additional exercises, both pencil-and-paper and empirical, have been added to this edition. Empirical Exercises allow the students to apply what they have learned to answer real-world empirical questions. References lists sources for further reading. The Appendix provides statistical tables and the Glossary conveniently defines all the key terms in the book.